Paleo With Love, Astoria - Queens, NY. All of our produce is organically grown sourced from local farms in the NYC area. Our meats are natural, grass fed and grass finished and antibiotic free. Paleo With Love believes that you are what you eat and we will always strive to guarantee you are eating delicious, healthy and sustainable food. 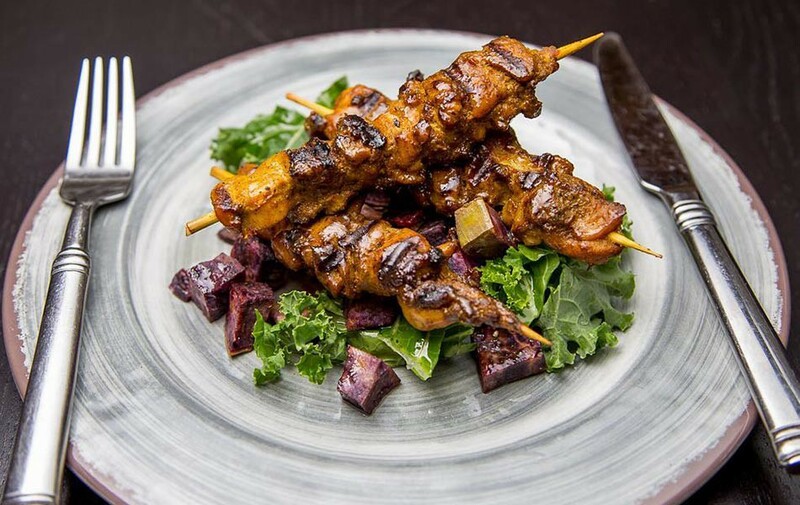 Paleo With Love answers the question that all busy New Yorkers face every day, "What's for dinner tonight"? 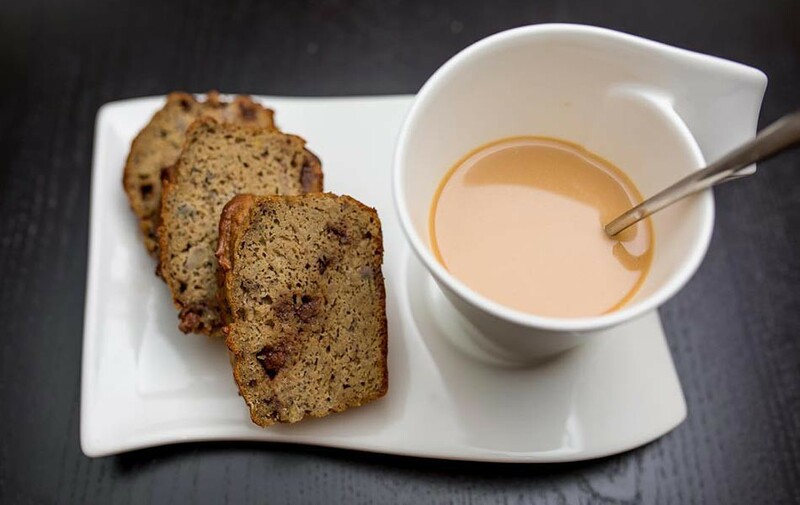 Not to mention, of course, wondering what's on the menu for breakfast, lunch and snack time.An innovative and talented chef with years of experience working in the kitchens of some of the finest restaurants on both the East and West coasts, Ryan is the founder of an exciting and convenient meal delivery service, Paleo With Love. Chef Ryan and his delicious, nutritious dishes are here to cure the boredom and help you towards your goal of living a healthy lifestyle. Doesn't a balanced meal of Italian Spaghetti squash bake, Kona pulled pork with tomatillo and fresh kale or beef stew accompanied by collard greens and fire-roasted tomatoes sound much better than a tepid fast-food burger or a slice of pizza? Of course, it does! 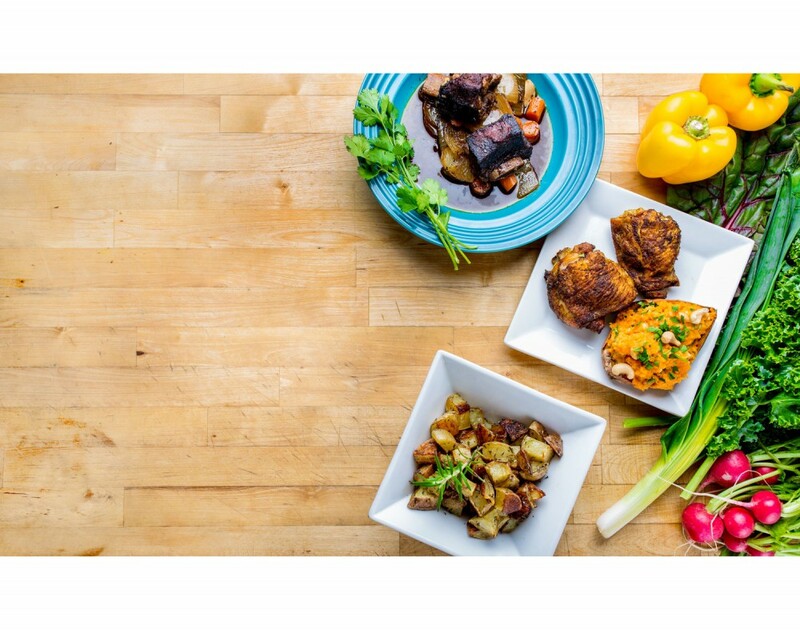 Offering organic, delicious, farm to table meals, there's a whole lot to love about Paleo With Love. All of their produce is sourced from local farms who use environmentally-conscious growing methods. Everything is as natural and wholesome as can be. 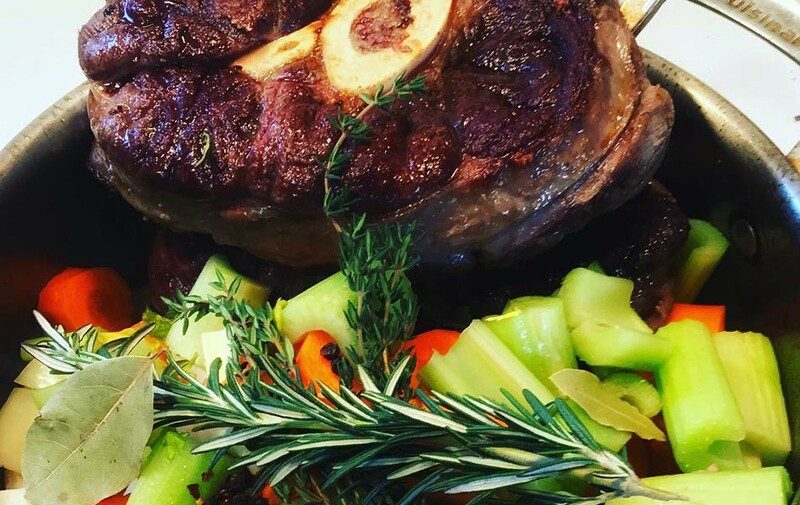 The meats that chef Ryan uses to prepare his scrumptious meals are grass-fed, as well as hormone and antibiotic-free. The saying "You are what you eat", perfectly sums up Ryan's culinary philosophy. One of the best things about Paleo With Love is the fact that their meals are very affordable and there is so much variety to choose from. Their menu includes breakfast, lunch and dinner options. You choose how much or how little you want to order. And, when we are talking breakfast, we're not just referring to steel-cut oatmeal or a muffin. Ryan whips up a tasty frittata and omelet as well as potato hash and eggs. When you taste Ryan's cooking, you'll never skip breakfast again. A recent menu offered hungry New Yorkers a veritable rainbow of choices such as wilted spinach and crispy pancetta, bacon wrapped boneless pork chops with baked apples and sesame beef accompanied by oven roasted broccoli and peppers. One of Ryan's delectable sweet endings was a cup of coconut chia pudding. Need we say more? 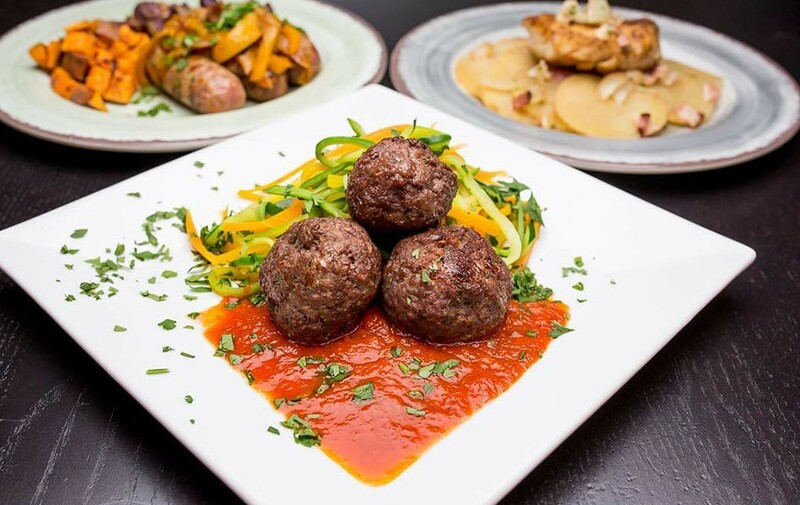 Their meal portions are sizable and, more importantly, are filled with nutrients and non-processed ingredients that will fill you up without being too much. Ryan's meals contain a wealth of proteins, healthy carbs and fats that will keep hunger away for a long time. 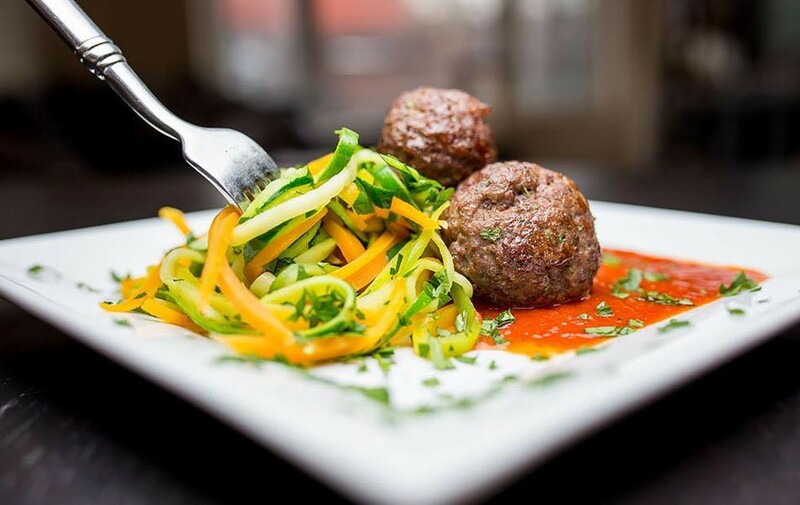 Go to their website, paleowithlove.com, check out the menu for the whole week on the main page, then go to Menu and select your meals for the next available delivery/pickup date. Make sure to sign up for their newsletter to receive weekly emails about menu updates, new pickup locations and events. Every meal comes with a description of ingredients and a nutritional breakdown. You know exactly what you're eating. Right about now, as your mouth waters; you might be thinking just what is this Paleo thing all about? Why is it right for me? Going Paleo could very well be one of the smartest and tastiest nutritional choices that you'll ever make. If you are looking to eat healthier, without sacrificing either great flavor or most of the foods that you already love, then this is for you! As Ryan puts it, whenever he is asked about eating Paleo,"Going Paleo is easier by far than most of the restrictive diets out there. All you have to do is NOT eat processed foods. Anything in a package is processed to one extent or another. Instead, choose to eat foods in their natural state." Continuing on, Ryan explained that, "Paleo refers to the Paleolithic, hunter-gather, primal diet way of life going way back in history. It's how people cultivated their food supply and ate in the era before the industrial and agricultural revolution. Think back to a time "added Ryan," when our food was not processed with the addition of sugar, vegetable oils, GMOs and all of the artificial fillers and preservatives that are in most of the packaged products that you purchase at the supermarket. Paleo is a cleaner way to eat all the way around." As a chef, Ryan was influenced by his mom and grandmother. Looking back to those days, fondly, Ryan explained that "When I was a young boy, I spent a lot of time in the kitchen, not just eating but watching whatever was going on in the kitchen. I was curious about how different types of food was prepared." Fascinated by how the magic of mealtime happened, it was only natural that, eventually, his life's journey would lead him on the path to becoming a professional chef. Ryan achieved great success as a chef, bringing more and more customers into the restaurants where he worked. Foodies were eager to sample the flavor combinations that they had heard so much about. But, beneath the surface, things were not going as smoothly in Ryan's personal life as he would have wanted. At 29 years of age, Ryan was over thirty pounds overweight and was not happy with how he was feeling. The wake-up call, though, came during a routine physical at his doctor's office. Not as mindful of what he had been eating as he could have been, Ryan was not totally surprised when his physician informed him that he not only had high cholesterol and high blood pressure but was also vitamin D deficient. But Ryan was not prepared for just how much his health was spiraling out of control. "I guess that's what being a chef was all about, right? My friends used to tease me that nobody trusts a skinny chef." Shaking his head, Ryan went on to say that,"My doctor at the time went on to say that I had 90 days to fix my cholesterol or she was going to have to put me on medication. Imagine that, meds at just twenty-nine." It was around this time that CrossFit came into Ryan's life. It was a total game-changer. A good friend recommended that Ryan give Cross Fit training a try. It would be tough, but this friend knew that Ryan loved a good challenge. "I was immediately hooked. I couldn't wait to get to the CrossFit gym,"said Ryan, smiling as he looked back on the days that ended up changing his life. Yes, you could say that I drank the kool-aid and then some! During my time at CrossFit, I learned about Paleo and started to cut the sugar and processed carbs out of my diet. Hey, I struggled at first. it wasn't easy and things didn't happen overnight. But, after ninety days, my doctor could not believe the results. Not only did I lose weight I reversed everything that was wrong with me!" The doctor wanted to know just how Ryan achieved this total transformation. "Her exact words were;"Ryan, you should have your own infomercial". Apparently, this doctor had a great many patients who came into her office with the same issues Ryan had. But for whatever reason, could not get it under control. Jump ahead to the present and Ryan has now come full circle. In addition to being your personal chef, as it were, with his Paleo meal service, Ryan is a trainer with Cross Fit, in Astoria. "CrossFit was one of the reasons why I discovered and fell in love with Paleo. As a coach, I am able to teach others on how to realize their fitness goals with the proper training and a different way of eating. As a professional chef and trainer at CrossFit, I love helping others. Seeing my client's transform themselves is the most amazing feeling in the world." Ryan, however, could not ask for a better and more loving support system than from his wife Marina. Their personalities, individual talents and areas of expertise definitely complement one another. Ryan and Marina have lived in Astoria for several years and both share a deep and abiding love of the neighborhood. The couple feels that Astoria has the vibe of a small community, even though it's located just minutes from Manhattan. As a foodie, Ryan loves trying out new foods and restaurants. He gets inspired to create his own Paleo version of various dishes that he tries out. In their spare time, it's all about keeping active for Marina and Ryan. They enjoy working out together as well as hiking upstate. On their visits to the Hudson Valley and other rural spots, they also find time to check out new farms who Paleo With Love could possibly partner with. During the winter, you'll find the happy couple at Bryant Park and other locations, ice-skating. And, whatever time of year it is, Marina and Ryan will always be up for a cool concert or two whenever their favorite bands come to town. But it's always a plus when the show is outdoors during the warmer months. We asked Ryan what the story was behind the company name. Ryan's answer was simple and straightforward. "The name kind of sums up what we are about. 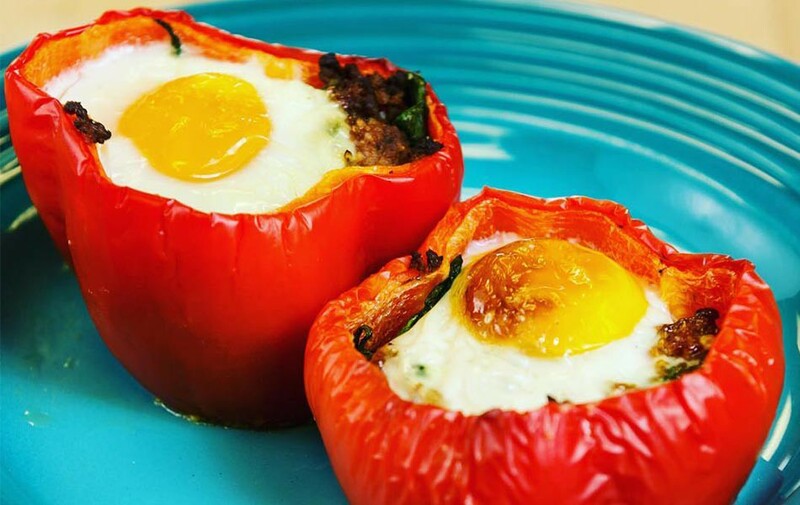 Paleo meals that are prepared with love. We care about what people put into their bodies. Part of the joy of being a foodie is discovering a chef who brings something fresh and exciting to your table. Ryan Brown is that someone special, a chef whose culinary expertise and vision will excite your palate. It's time to skip the cold, tasteless sandwiches and junk food during your lunch break. Bring along one of Paleo With Love's delectable and hearty meals to work, warm it up in the office microwave and, in seconds, all of your co-workers will want to know where you got such a beautiful lunch. 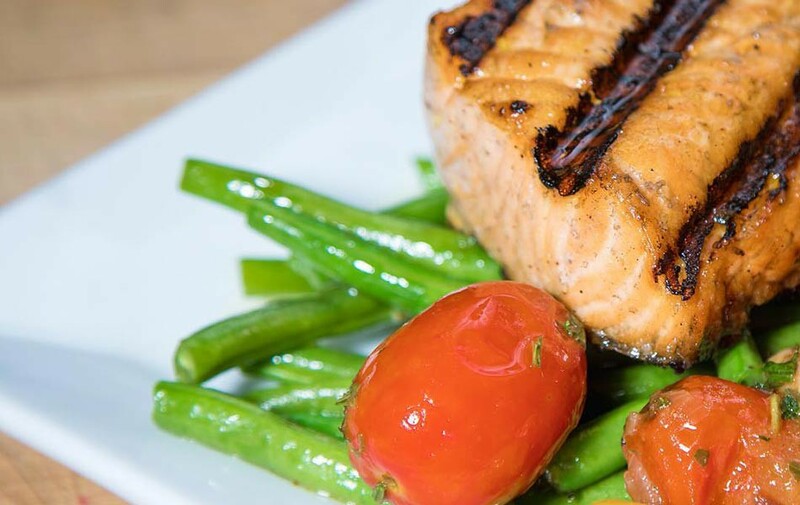 Give in to your cravings with Paleo With Love, unforgettable gourmet meals that will do your body good.